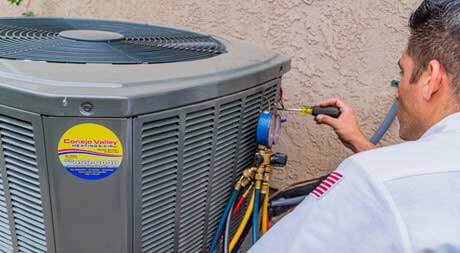 A heat pump is an integral part of HVAC services. The heat pump is a device that uses a compressible refrigerant to transfer heat from one body and place it to another. It can be used for both space heating and cooling. This technology has been used around the world for decades. Whether you need heating in winter or cooling and dehumidifying in summer, a heat pump can provide year-round climate control and operate with extreme efficient results and a lower monthly cost. 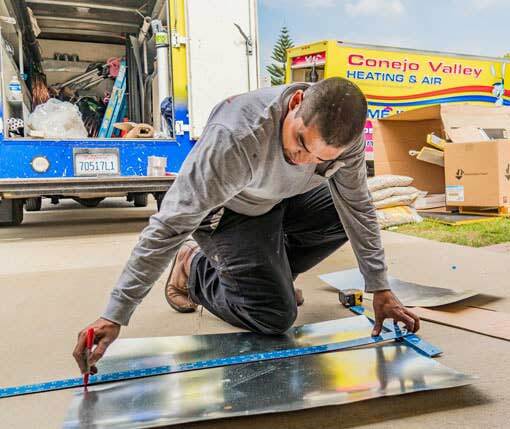 Conejo Valley Heating & Air Conditioning, Inc. is proudly serving in the areas of Southern California for more than 38 years with comprehensive heat pump services. 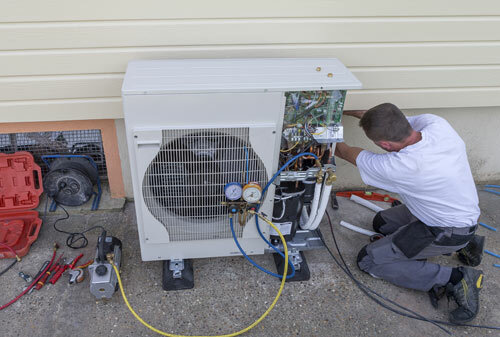 When you notice something wrong related to the heat pump and you are planning to repair it, installed a new one or replaced your current heat pump, our service is just one step away from you. Call us at (805) 499-0448 and our experienced staff will be there for you to give you effective solutions. Whether it is day or night, we happily serve our customers 24/7. We offer quick, honest, and reliable 24-hour emergency heating services nearest to you with a 100% customer satisfaction guarantee. In houses, with natural gas and wood furnace, the heat pump should be installed on the warm side of the furnace. Refrigerant lines should be short and straight as per requirement. It is necessary to locate the heat pump outside the drip line of the house. Compressor and fans make noise. It is important to set the unit away from windows and buildings near you. The outdoor unit should be placed in the open so that outdoor air is not passing through the coil. Your electricity bills are arising anonymously and you are unaware why. Your system is making odd noises. When the device needs a continuous repair service and you are tired of it. If your heat pump takes too much time to cool/heat the home. When you are noticing the above or other signs, you should take it as a signal to replace your heat pump. When you have your elders and children in the home, it is your duty to provide them with a healthy and comfortable environment. Heat pumps helps HVAC systems to keep your home relaxing and restful. However, when you notice that your heat pump is not working as it should be and starts causing problems, it can definitely be worrisome. Especially, when you do not have enough time to solve the problem. Give us a call and leave the situation to the best heating repair services in Southern California. Our trained and experienced staff will reach out to you in no time and will look into the problem. After sorting out the problem, we will provide you with all the information and reasonable charges. 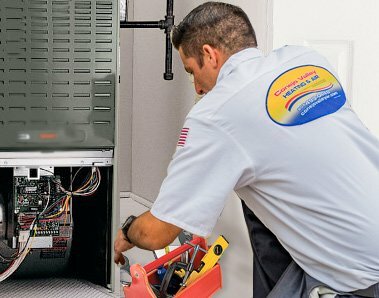 When do I need heat pump repair? When your heat pump stops working, it’s a sign that your heat pump needs a repair. There are many indicators you must keep in mind. Compressor When there is a problem in the compressor or it is frozen in chilled weather, it is wise to call the service expert to get the problem resolved. Temperature is fluctuating When you notice the temperature is fluctuating continuously, it can be worrisome. The air pressure is too low When you turn on the system, but it is unable to take the pressure, there might be a problem occurring in the system and you need to call an expert service. The increasing cost When your energy bills increase even though you are not using your heat pump as much. Odd smells and sounds After turning on the system, there are odd odors and sounds coming out. A dirty filter, coil, or fan condenses airflow all the way through the system which may break the compressor. The fan should be cleaned to ensure that it provides the proper airflow. It is also important to check the fan speed. Ensure that vents and registers are not blocked by anything that can block air flow. Ductwork should be inspected and cleaned to ensure that airflow is not restricted by loose insulation or build up of dust. The air source heat pump system is the most common type of heat pump. These pumps transfer heat between the home and the outdoors. It also works by dehumidifying when it cools the air. However, there is a disadvantage. In extreme winter temperatures, its coil may freeze. Ductless mini split system heat pumps make good add-ons to homes with a non-ducted heating system. It requires only a small space conditioning system. A ductless system is very easy to install rather than others. Its main disadvantage is its flexibility for zoning, cooling, and heating an individual room. The number of indoor air handling units depends on how much heating or cooling is needed for residential purposes or buildings. A geothermal heat pump uses the water or ground for a heat source in place of air. It is very expensive to install, but geo-thermal heat pumps are very beneficial due to its stable temperatures of ground and water. They can also work efficiently in extremely cold weather. Absorption heat pumps work with the help of natural gas, solar-heated water, also known as gas-fired heat pumps. Absorption cools itself on the same principles. These are not reversible and cannot work as a heat source. In it, the evaporated ammonia is not pumped up under pressure in a compressor but is instead absorbed into the water. Its efficiency of air source absorption and the heat pump is indicated by their coefficient of performance. Schedule your appointment with our heating and air conditioning service We are here for all of your heat pump system services without giving it a second thought. If your heat pump fails to turn on, it is possible that there might be a serious problem with the thermostat or your unit receiving power. First, you need to check the main electrical panel and other sub-panel that would supply power to the unit. The circuit breaker could have tripped and needs to be reset. It is also important to check for any broken wire around the unit. If your problems are not solved, it is time to contact a professional expert. If your air ducts get blocked, inadequate heat is produced. Improper heat may be caused from the duct in the air filters, low thermostat settings, or poor refrigerant. Odd sounds coming from your heat pump can be irritating. It indicates a serious problem in the heat pump. Call our professionals to get it fixed now. Either it will be corrected or replaced. The functioning of the heat pump depends on the amount of refrigerant. If it gets low, it can be a fail. You need an experienced professional to add a refrigerant. Only they can handle it properly. 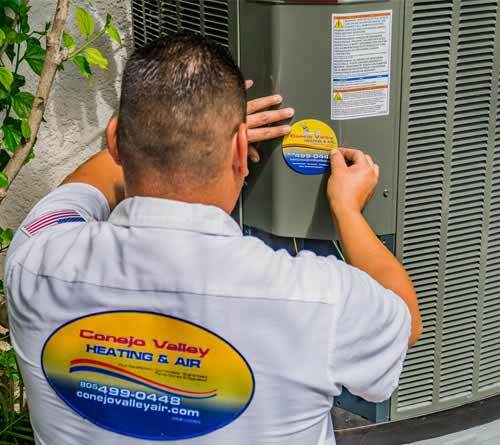 Schedule your Heat Pump Service with CONEJO VALLEY HEATING & AIR CONDITIONING INC.
Conejo Valley Heating and Air Conditioning, Inc. is one of the most trusted HVAC servicing company throughout Southern California. Our company is providing its services in air conditioning and heating, heat pump repair, heat pump maintenance, and installation. Our services areas are for Conejo Valley and its nearby areas in Agoura Hills and Woodland Hills. Contact us today! If you want to know more about installations of heat pump, maintenance or heat pump repair and all other services or want to get a free quote, we are just one call away. 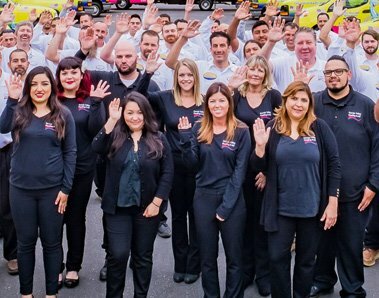 Conejo Valley Heating and Air Conditioning, Inc. team will quickly response to all your queries and offer you the best solution.